Click here to register for the National Festival of Young Preachers! Registration deadline is December 1st. Eventually, one member of the study group asked the question: “Why is it so important for them to remember this?” I had to break it to them then that the text harps on memory because it was written in hindsight. Deuteronomy was finally compiled in the aftermath of Israel’s fall and exile from their promised land, and so the editors highlighted what they wished Israel had done in the first place: remember what God had done, and lived in response to that faithfulness. Deuteronomy was presented in its written form to a people who had forgotten what God had done for them, and then lived through the brutal consequences of that forgetting. They became a people who enslaved their own, forgetting that they had been enslaved. They became a people who exploited their own, forgetting their own exploitation. They became a people who protected their power, forgetting that God was the one who gave it. The forgot; they became unfaithful; they fell. Thanksgiving is the season when I’m most aware of the critical danger of forgetting and the critical importance of remembering truly. My family has the practice (like many others) of beginning the Thanksgiving meal with a moment of sharing: “what are you thankful for?” This question requires us to remember what has happened in the last year, and to juxtapose it with our present. You can’t be thankful if you’ve forgotten what has taken place! When I was a child, my thankfulness was the thankfulness of one who has had everything and suffered nothing: toys, books, a litany of things. But now, my thankfulness is rooted in what has been survived, what has been regained, what has been overcome. Now, my thankfulness is wrapped up in clear remembering, and the opportunity for real repentance that is only possible when we tell the truth about our past. 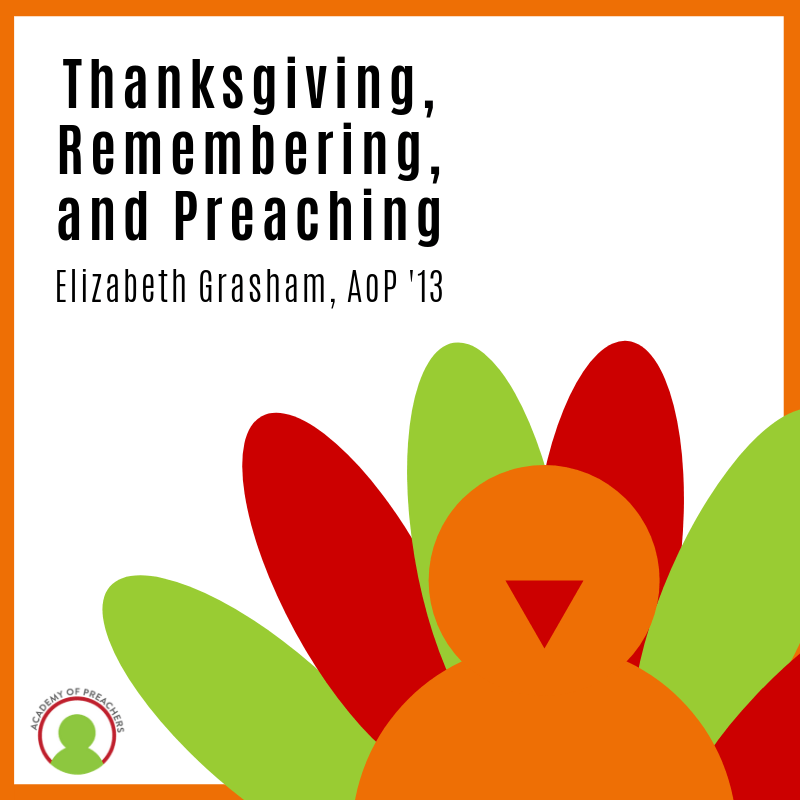 For the preacher, the season of Thanksgiving is an opportunity for us to move our congregations (whether they’re in bars or sanctuaries) into the work of true remembering. Gratitude is only possible when we admit the truth about the world, in all its sin and brokenness and failure. Gratitude is only possible when we tell the truth about ourselves: that we would rather forget, cover up, or shield ourselves from the knowledge of our own complicitness with unrighteousness. Gratitude is only possible when we tell the truth about the Kingdom of God: that it is holy work that requires daily commitment, regular sacrifice, and the humility to admit how we have fallen short of God’s glory. Thanksgiving is only truly possible when we’re as relentless as Moses in reminding ourselves about what God has done, what God will do, and what God requires of us. Only then can we truly see how far we’ve come and how far we have to go. This is why we preach the same scripture over and over again; this is why the liturgical calendar is a cycle of stories shared over and over again. We, and the people who hear us preach, must be in the practice of deliberately remembering of what God has done for us. Is the repetition boring? It can be. But we are witnessing the alternative to that discipline right now: generations of believers who claim Christ, but have forgotten that he was a refugee child. Generations of believers who worship on Sundays, but have forgotten that when Christ met a hungry multitude, he fed them. Generations of believers, who carry their Bibles, but have forgotten that when Jesus was offered the temptation of power, he rejected it. Forgetting is deadly dangerous for the faithful. This Thanksgiving, I pray that you will preach about the blessings that can only come when we commit once again, to remembering what God has done. Rev. 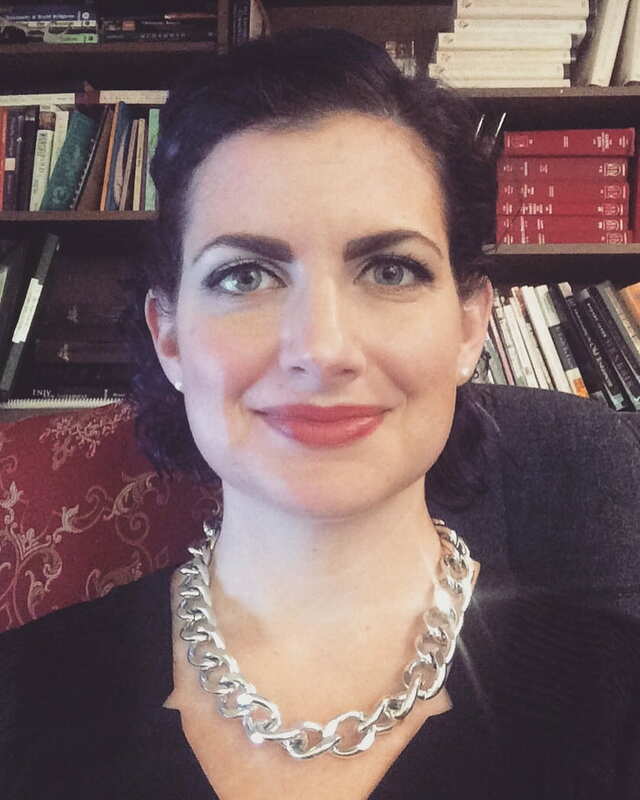 Elizabeth is is an Ordained Minister in the Christian Church (Disciples of Christ) and the Solo Pastor of Heights Christian Church (Disciples of Christ) in Houston, Texas. She is a graduate of Grand Canyon University (06′) and George W.Truett Theological Seminary at Baylor University (09′). Elizabeth is wife to Gene, mom to Gareth and step-mom to Roman and Odin. She loves science fiction and fantasy, and currently recommends that everyone get their hands on The Broken Earth Trilogy by N.K. Jemisin. Elizabeth also draws napkin notes for her son’s lunches, which you can find on her instagram (@elizabethlgr). She is a proud board member of Young Clergy Women International. *The views and opinions expressed here are solely those of the author(s) or speaker(s) and do not represent the beliefs or positions of the Academy of Preachers. The distribution of content by Academy of Preachers is an effort to fulfill our mission to Identify, Network, Support, and Inspire young people in their call to gospel preaching. Our network and participants are widely diverse in geography, ethnicity, culture, gender, theology, tradition, and practice. We give space for those in our network to contribute their unique voices to a global conversation on gospel preaching and Christian ministry.